Lots of food, friends & fun! The beauty of Shabbat speaks for itself. ...A day of rest, peace and serenity; a day of unity and harmony; a day to revive one's spirit and rejuvenate one's soul. Combined with the Chabad spark of passion and joy, it promises to be a most enjoyable and uplifting Evening for you and your friends. 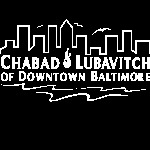 With Chabad’s YJP you’ll experience the feeling and spirit of Shabbat like nowhere else. Friday night dinner is more than simply a delicious, homemade, 4-course feast. It is sprinkled with song and dance, Jewish insight and wisdom, and the opportunity to mingle with people your age.